On Friday, the 40-year-old actress stepped out in London to get the word out on her new book, which was published on July 28. The Aussie beauty turned heads as she arrived at the BBC Radio 2 studios. She paraded her flawless legs in a pair of black high-waisted shorts, which she teamed with a floral silk top by L.K. Bennett. Isla further highlighted her legs with a pair of platform heels by the same British fashion brand. She also accessorized with a black clutch and hid her eyes behind a pair of oversized sunnies. Her long hair fell over her shoulders in soft curls, while her pink lipstick contrasted beautifully with her alabaster complexion. Later, Isla continued her promo run as she dropped by the ITV studios for an appearance on “This Morning.” She traded her floral top and black shorts for a dotted navy blouse with a plunging v-neckline and a pair of leather pants. The mom-of-three styled the look with retro sunglasses and an edgy pair of earrings. She carried the same clutch and teetered on the same heels she wore earlier. Isla boosted her height with the L.K. 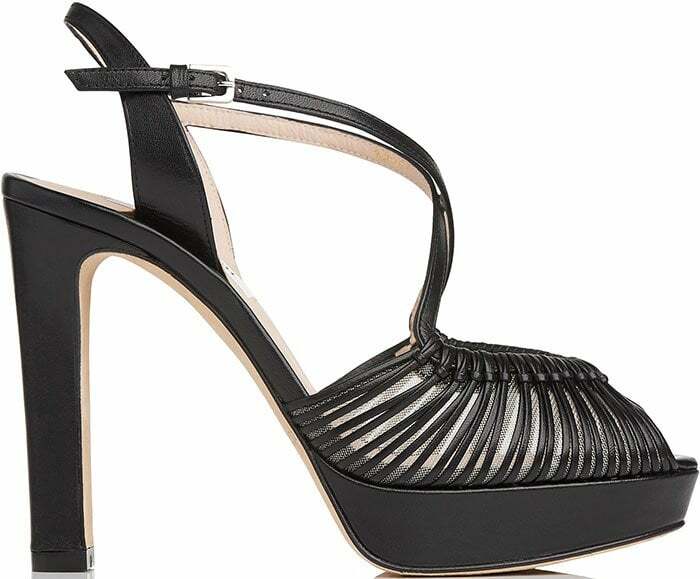 Bennett “Silvia” sandals, which have about 4.3-inch thick heels and one-inch platforms. 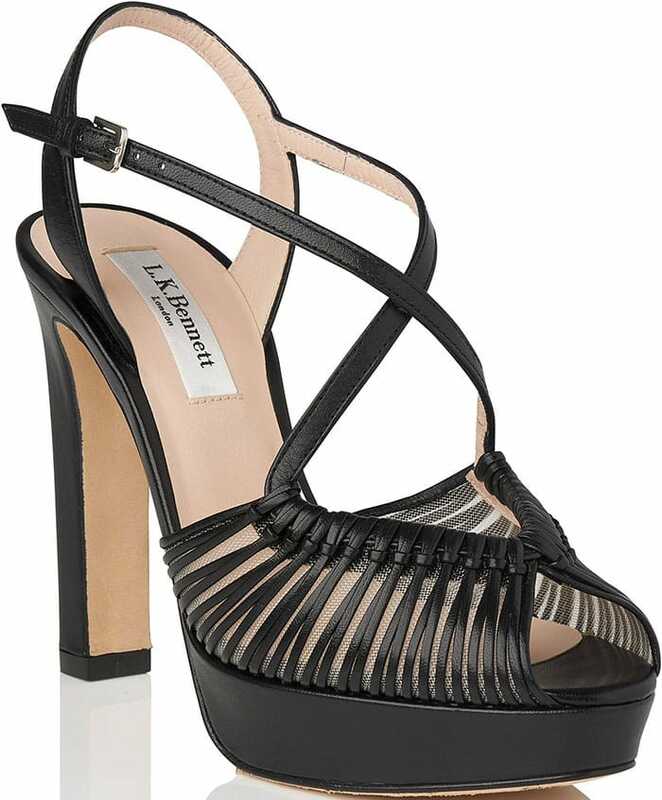 They also feature striking interwoven straps, mesh inserts and crossover vamp straps. You can get these bold sandals at L.K. Bennett.